Despite wasting a lot of time on that bug, I did get a few other things done today. For one, regions are now fully wired into this new method of generating region boundaries, including having the region boundaries visible in the terrain. In the screenshot here, I’m standing near one side of the smallest region on the map (you can actually see it in yesterday’s screenshot; it’s that tiny triangular region toward the top left corner of yesterday’s screenshot). The mountains you can see in the distance are this region’s boundaries. The region is only about a kilometer and a half across, which means that you could stand in the middle of the region and turn on the spot to see the whole extent of the region, all from the one spot. 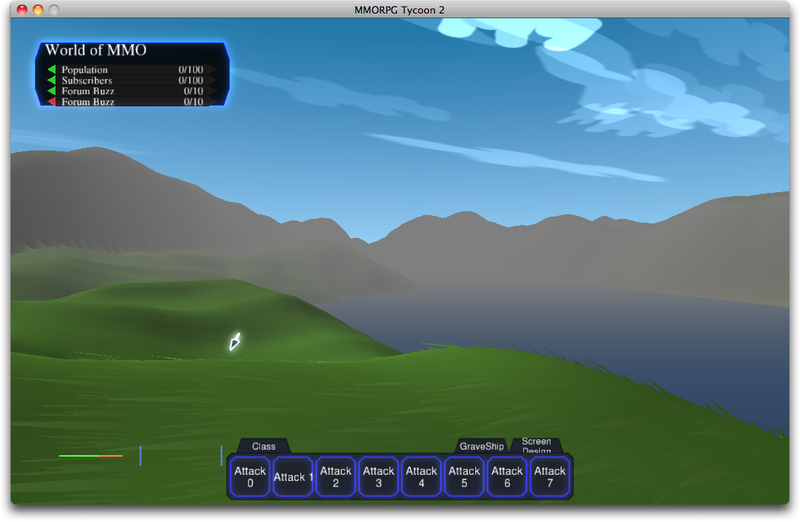 11 October, 2009 in Full Games, MMORPG Tycoon.